In this research, Enterococcus species with probiotic properties were isolated from raw milk and some traditional dairy products and these species were identified by using biochemical, phenotypical and genotypic methods and their potential use in Izmir Tulum cheese production as adjunct culture were investigated. Among the isolated and identified Enterococcus species, three Enterococcus faecium and one Enterococcus durans strains with no vancomycin resistance, no decarboxylation activity, high antimicrobial activity and resistance to acidity were selected, and a mix culture was produced. This culture was mixed with commercial cheese culture containing Lactococcus lactis subsp. lactis and Lactococcus lactis subsp. cremoris in different proportions and used in Izmir Tulum cheese production. Cheese samples were left to ripening for 180 days, and their physical, chemical, microbiological and sensory properties were evaluated with comparison to prior studies. 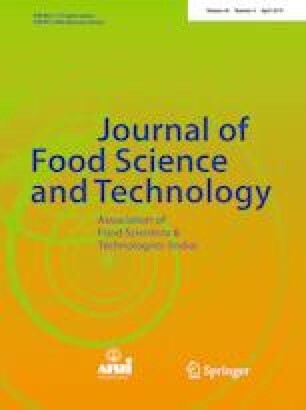 Evaluations showed that using adjunct culture in Izmir Tulum cheese production has no negative effect on physical, chemical and microbiological properties and higher proportions of probiotic Enterococci in the culture have a positive effect on the sensory properties, especially on flavor. This study was presented at the 3rd International Symposium on Traditional Foods from Adriatic to Caucasus, Bosnia and Herzegovina on 01–04th October 2015 (Poster Presentation). The authors thank the Ege University Scientific Research Fund Council (Project No: 2011-ZRF-010) for financial support to this study.